This month, we are very excited to announce that we’re holding our first igoo event, here at 74a! 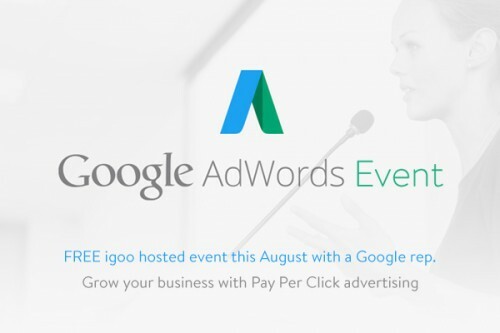 On Tuesday 18th August, we will be joined by a Google Pay-Per-Click advertising expert, who will be explaining how Google advertising can help to increase your online revenue and get more eyes on your products and services. We’ll have two sessions available – one in the morning and the afternoon- on the 18th August, with refreshments provided and it’s completely free. It’s the perfect opportunity to find out how we can help maximise your online exposure and drive valuable traffic to your website. We will be in touch soon with further details but if you’d like to register your interest and book your place, you can get in touch with us today.